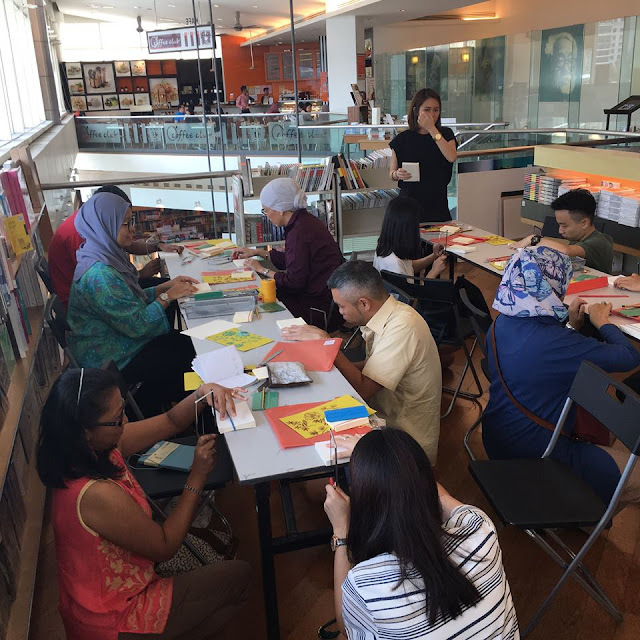 It's always good to be back and having my workshop at Kinokuniya. 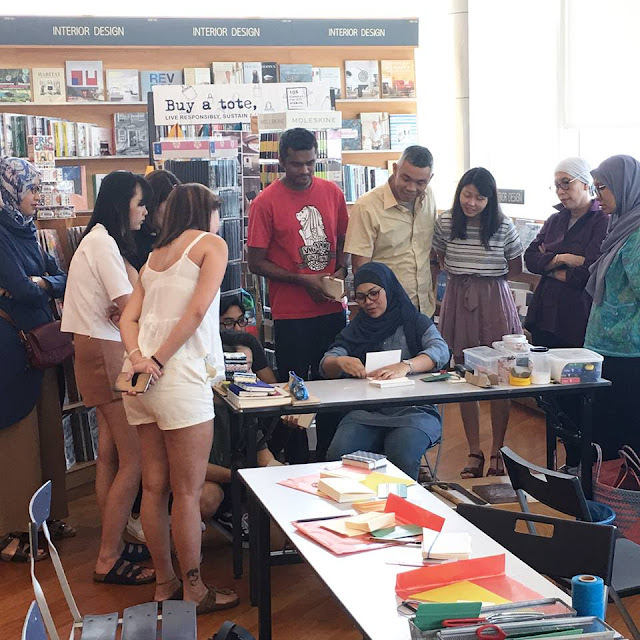 My last workshop at Kinokuniya was last two years. And I came back for the second time with four workshop slots to offer. Antalis the major paper distributor was sponsoring the paper and it was nice to be able to experimenting using eco friendly paper mainly from Europe. 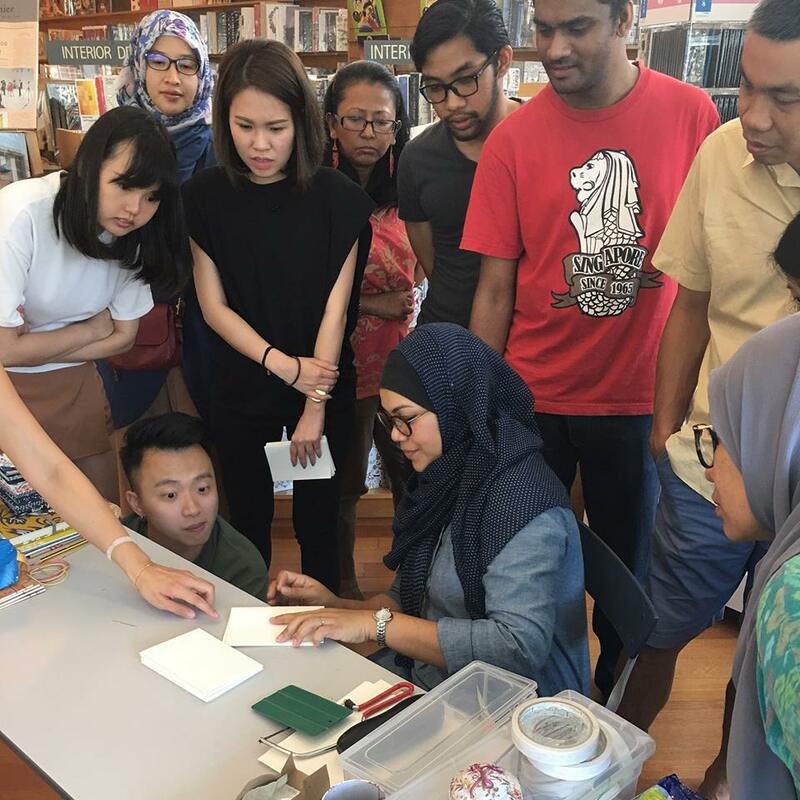 Good to see some new and familiar faces curious to learn the book binding skill:) What a happy day!